VANCOUVER — The Evergreen School Board voted tonight to accept the resignation agreement of Superintendent John Steach at its Board of Directors meeting. The Evergreen School Board voted tonight to accept the resignation agreement of Superintendent John Steach at its Board of Directors meeting. 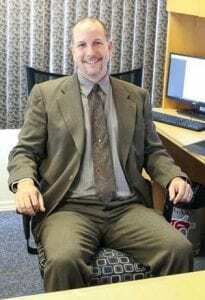 Steach joined Evergreen as deputy superintendent in July of 2014. He was appointed by the board as superintendent in August 2017 after the retirement of John Deeder. 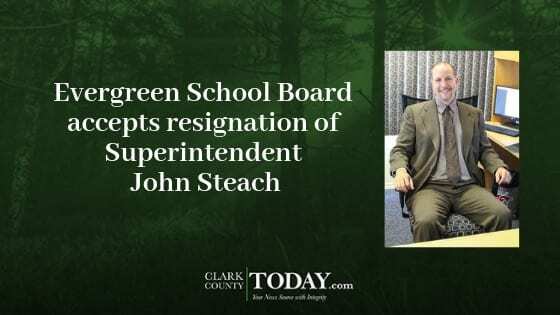 The board, in a special meeting yesterday, indicated Steach’s resignation was imminent, and per board policy, appointed Evergreen’s Chief Operating Officer Mike Merlino as interim superintendent. Evergreen Public Schools, with 25,000 students and 3,300 staff members, is the sixth largest school district in the state, and the third largest employer in Clark County. Information provided by Evergreen School District.